We look at the evolution and future of OpenNotes — from the impact it has had on patient engagement, medication adherence, and physician workflows to the technological challenges of implementing a truly vendor-agnostic tool. Six years ago, the notion that patients could have electronic access to their doctor’s notes was almost unheard of. The note was a safe, private place where providers could document a clinical encounter without worrying about a patient’s reaction to their accompanying commentary. The note was for internal use only, which no doubt gave providers a certain poetic license to describe patient ailments and mindsets in the bluntest of terms. 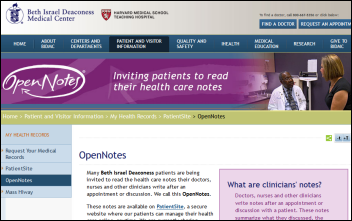 Enter OpenNotes, now a national movement that encourages providers to adopt open access to clinician notes as a standard practice of care. 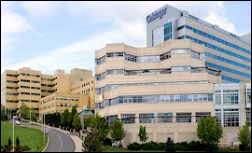 The movement began in 2010 as a year-long study funded by the Robert Wood Johnson Foundation that tested the OpenNotes concept with 105 PCPs and over 13,000 patients at Beth Israel Deaconess Medical Center (MA), Geisinger Health System (PA), and Harborview Medical Center (WA). The trial was considered a success, with patients reporting that access to physician notes helped them feel more educated about and in control of their care. They were also more apt to take their medications, share their notes with other caregivers, and communicate and collaborate more with their physicians. Participating physicians experienced similar positive results, with just a handful reporting longer visits and taking extra time to address patient questions outside of regular visits. While a larger percentage reported taking more time to write notes and change documentation content, none of them stopped providing access once the trial ended. Since results from the initial OpenNotes trial were published in 2012, the movement has expanded almost exponentially across the country. Twenty-six healthcare organizations — including the VA and most recently Duke Health (NC) — are now providing open-note access to over 6 million patients. The movement shows no signs of slowing down thanks to an additional $10 million in funding from RWJF, Cambia Health Foundation, Gordon and Betty Moore Foundation, and Peterson Center on Healthcare that will be used to roll out OpenNotes access to 50 million patients across the country. The investment doesn’t stop there. We Can Do Better, a nonprofit OpenNotes advocacy group that works alongside the NorthWest OpenNotes Consortium, received a grant earlier this year from the Oregon Health Authority Office of Health IT to help spread OpenNotes to small to medium-sized physician practices in Oregon, and to work with healthcare IT vendors on making OpenNotes easy to access via their EHRs and patient portals. CHIME has also thrown its support behind the initiative, announcing last month its intent to collaborate with the OpenNotes movement on accelerating health data sharing as part of its participation in the Precision Medicine Initiative. Fellows adds that OpenNotes is working to develop a best-practices sheet with recommendations for vendors on how to configure OpenNotes so that it is patient and physician friendly. 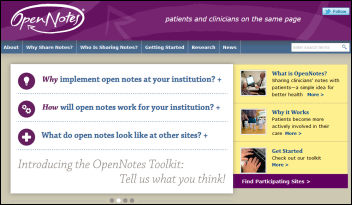 OpenNotes is just beginning to reach a maturity level that will enable researchers to determine its effect on outcomes. Thus far, the only hard data available is a paper published last fall in the Journal of Medical Internet Research that shows patients with open-note access have better blood-pressure control than those who don’t. Many OpenNotes participants are venturing into new territory. Several organizations, including BIDMC, have launched mental health pilots to gain a better understanding of how increased transparency could potentially benefit psychiatric care. Vancouver Clinic is exploring the value in allowing adolescents to view their notes with or without parental proxy access. Fellows also foresees eventually rolling out OpenNotes to more vulnerable patient populations, such as non-English speakers, those with health literacy issues, and underserved and safety net populations.